One week into RIO's public launch, Galfond is happy with the feedback he's received. Run It Once threw its hat into the online poker ring in full force on Feb. 6, launching in Public Beta mode following two-plus years of wait after the initial announcement. The responses came pouring in as the site's creator Phil Galfond requested that players give the site a try and post one impression from their experience on social media. Overall, Galfond is pleased with the overwhelmingly positive feedback he's gotten in week one. Run It Once Poker is LIVE! Players in countries where online poker is legal and regulated can play on the RIO site and take advantage of a first deposit bonus of 100 percent up to €600. Unfortunately, that does not include those in the U.S. or any of these restricted countries. "The number of players and their response to the software and the games has been great." Galfond encourages those who download the software to follow a link to the Discord server where they can chat with other players and get questions answered by RIO staff. As they've launched in beta mode, there's a list of known issues the RIO team is already working on, which players can read about here and report other issues. 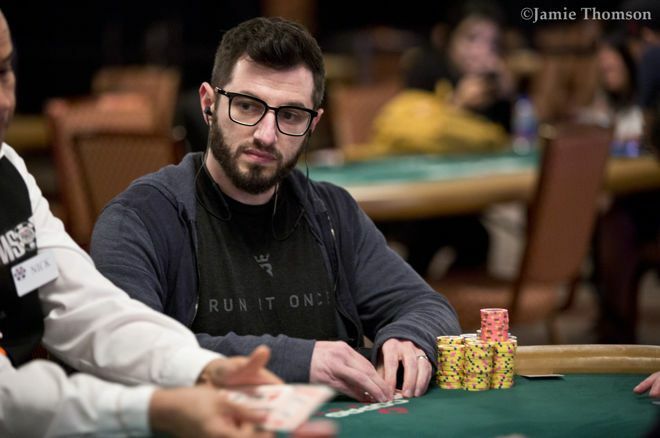 One week into public launch, PokerNews asked Galfond about the new poker site and his assessment of the first week. What advantages would you say RIO has with a pro player like you heading the ship rather than someone more from a business background? The poker world presents some unique challenges that I think poker players are best-equipped to solve. The solutions aren't always obvious, and outside-the-box thinking from someone who really understands the game can be very useful. The main advantage, though, is that the poker community knows me, and I'm going to be held accountable for Run It Once's decisions — that's how I want it to be. I'll be in touch with the community and explaining anything and everything we do. You’ve shared many features that will set RIO apart from other online poker rooms. What would you say are the features that set it apart the most for those not familiar? Splash The Pot — our rewards (51 percent rakeback) get splashed directly into pots on the table, creating action, excitement, and unique strategic adjustments. Our streamR program — allowing any Twitch or YouTube streamer to easily boost their rakeback percentage over 75 percent, and potentially over 100 percent. Dynamic Avatars & No HUD Policy — We don't allow HUDs, and instead provide players with avatars that change their expression based on their play-style, providing a level informational playing field that happens to be fun. How do you see Run It Once fitting into or affecting the current online poker landscape? My main hopes and goals have to do with what we can accomplish in the online poker landscape long-term, and much of that has to do with solving problems that the game will continue to face and keeping games and pricing fair. We want to innovate to both grow the game as a whole and to protect it — to stop the worsening of the conditions for online poker players that I've seen over the past few years. But, our ability to do those things will depend on how successfully we launch, so that has to be my focus for the time being. How has the launch lived up to expectations for week one in terms of numbers and the performance of the software? It's gone fairly well overall. The number of players and their response to the software and the games has been great. There were a few new issues with the software that didn't arise during private beta testing, but no more than to be expected. What is some of the main feedback you’ve gotten during the launch, both positive and negative? It's been overwhelmingly positive. My favorite feedback has been, "Phil, I'm a recreational player and I've never had this much fun playing online or felt this protected and comfortable. I'm moving all my play to Run It Once!" I've heard something to this effect several times, so I know we're doing something right! Fortunately, almost all of the negative feedback I've heard has been related to known issues that the team is working on. It's still hard for me to read any criticism, especially because I'm a perfectionist with a list of 200 improvements I'd make (which most players will likely only notice a handful of), but looking at it objectively, it's gone about as well as we could've hoped. What software developments might players expect to see in the near and long-term future? We're going to focus on clearing our list of known issues first. There are so many ideas I'm excited to add, but realistically, we've got a fair bit of work ahead of us just to perfect our current cash games, so I don't want to over-promise. We want to add all game-types, SNGs, MTTs, a distinct high-stakes section, but there's no timetable I can comment on just yet. Can you share any plans for the future of the site, including when you expect a full non-beta launch? I don't have an ETA on a non-beta launch. It's not that we'll be launching something brand new then — we'll just remove the beta tag when we're ready for users expectations to be very high regarding the performance of the software. I continue to be so appreciative of the community's support — people reaching out to help, recommending Run It Once to their friends/followers, streaming, and all the positivity floating around on social media, forums, twitch, and our discord community. A lot of people out there believe in us and know we're working towards a better future for online poker, and each bit of support goes a long way towards making that a reality. For RIO updates, announcements, and promotions, you can follow the Run It Once Poker Twitter page.